Recent observations of Saturn, its rings and moons are helping an international team of scientists to update their strategy for exploring the ringed planet as part of the Cassini mission to Saturn, scheduled for launch next year from Cape Canaveral, FL. Cassini is an international mission being conducted by NASA, the European Space Agency (ESA) and the Italian Space Agency (ASI). The mission will send Cassini, a large NASA-built spacecraft, into orbit around Saturn. Cassini will carry an ESA- built probe to parachute to the surface of Saturn's largest moon, Titan. 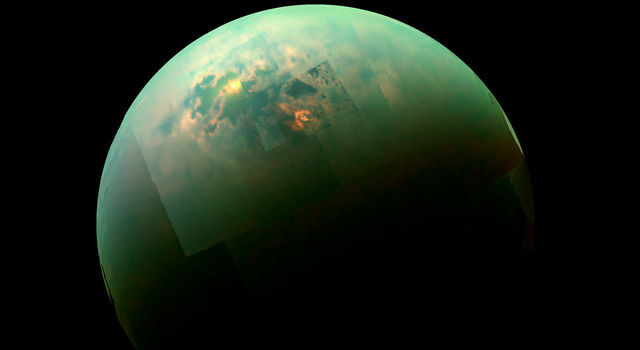 ASI is providing Cassini's sophisticated telecommunications system, which doubles as an imaging radar that will gather data to produce images of Titan's hidden, haze- covered surface. Now being prepared for launch on Oct. 6, 1997, Cassini will enter orbit around Saturn on July 1, 2004. On approach to Titan, Cassini will release the Huygens probe, which will descend through Titan's dense nitrogen atmosphere on Nov. 27, 2004. Cassini will spend four years in orbit around Saturn to conduct close-up tours of the planet, its rings, moons and magnetic environment. The Cassini orbiter carries 12 science instruments and the Huygens probe has six. Recent images from NASA's Hubble Space Telescope and observations from Earth-based astronomical facilities have provided new information on Titan and Saturn's rings that are useful to scientists now planning Cassini's voyage, said Dr. Dennis Matson, Cassini project scientist at NASA's Jet Propulsion Laboratory. In particular, Hubble images of Titan show clear demarcations between two types of terrain that may represent a solid rocky surface next to the lakes of liquid ethane and methane that are thought to exist on Titan, Matson said. "We've targeted the Huygens probe to descend to one of these boundaries between the light and dark areas, which should give us a good chance to study both kinds of terrain," said Matson. "The Hubble images tell us we've done a good job in targeting that entry point." Slightly larger than the planet Mercury, Titan appears to have at least one continent. It is covered by a hazy, brownish atmosphere that is organically rich and which may share many characteristics with Earth's early atmosphere. The Huygens probe is equipped with a camera and instruments to measure the composition and structure of Titan's atmosphere surface. Recent ground-based observations of Saturn's rings have helped ensure that Cassini's flight path avoids areas where particles associated with the outermost rings might pose a hazard to the spacecraft, Matson said. 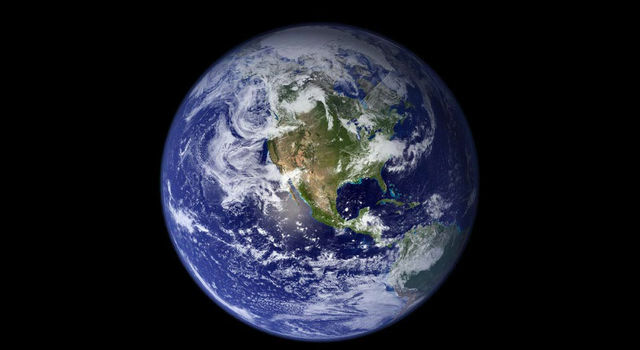 Science planning by the 250-plus scientists from 17 countries has reached an "intermediate level of detail in the development phase," said Matson. "We've established our broad goals and objectives for Saturn, its magnetic environment, the rings, Titan and the icy moons Enceladus, Mimas and Iapetus. "The issue we are working on now is how to plan the orbital tour of Saturn so that we can collect key observations needed by all of Cassini's science investigations," he said. "A lot of observations need to be made and the challenge is to find ways to put the spacecraft in all the right places at all the right times to make all those observations." At meetings in Europe and the U.S., Cassini scientists are looking a different tour options to determine which has the greatest advantages for the greatest number of instruments on board. Cassini's science objectives call for at least four close flybys of some of Saturn's more interesting moons. Among them are Enceladus, made up almost entirely of water ice, with only a few meteorite impact craters remaining on its surface. Cassini will determine if this smooth-faced moon has some internal heat source that melts the ice enough to erase its craters. A search will be conducted for small, geyser-like volcanoes, which some scientists suspect exists on Enceladus. The geysers may shoot ice particles into space where they are captured by Saturn's gravity to become part of the ring system. Another icy moon of interest is Iapetus, unique because it has two faces -- one side as bright as snow while the other is as dark as asphalt. Cassini will study the surface composition of this strange moon to determine the nature of the dark material and whether it came from Iapetus' interior or was deposited by some external source. The complex rings of Saturn will be targeted for intensive study by Cassini. The rings are a mixture of ice boulders, rock and tiny ice crystals. 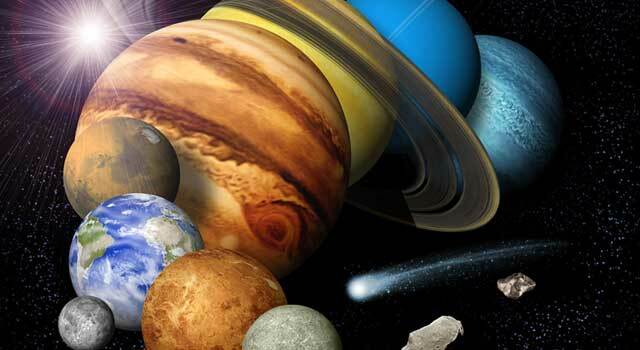 They may represent remnants of one or more moons shattered by Saturn's gravity, or perhaps by comet or meteor strikes, or they may be the product of some other unknown process. The magnetic environment that surrounds Saturn is called the magnetosphere, and Cassini will study this structure in detail. Space physics instruments on the spacecraft will study the behavior of trapped, charged particles within this field in addition to the interaction between the magnetic field and Saturn's moons and rings. The instrument will also study the relationship between the magnetosphere of Saturn and the constant stream of charged particles from the Sun, called the solar wind. One instrument called the Magnetosphere Imaging Instrument or "MIMI" for short, will produce the first-ever image of Saturn's magnetosphere. Instruments on Cassini will see deep into Saturn's hydrogen- helium atmosphere. Scientists expect to learn about the atmospheric activity at different altitudes, to observe how storms develop and disappear, and to discover the forces that drive Saturn's high winds and storms. The Cassini spacecraft is being assembled at JPL. Instruments from universities and laboratories in the U.S. and Europe are currently being integrated and tested. 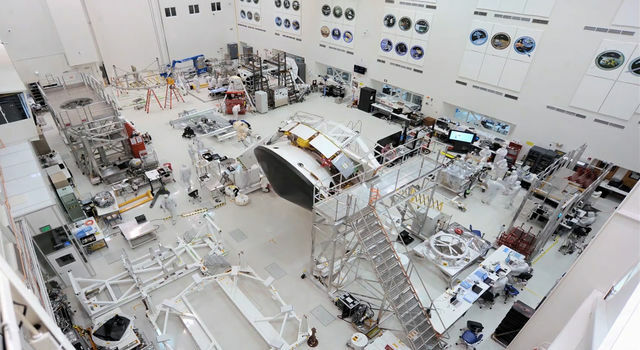 In Europe, the Huygens probe is undergoing final assembly and test prior to being shipped to NASA's Kennedy Space Center in Florida, where it will be joined with the Cassini spacecraft and prepared for launch next year.